Having never traveled to Japan, Jim was delighted to have an opportunity to perform on a television special there. The Muppets were invited by Nippon Television to appear on a program starring the Tokyo-based pop star Goro Noguchi. The contract stipulated that the characters would perform for about twenty minutes in sketches and songs sprinkled throughout the ninety-minute special. Jim left New York on March 20th with Jane and his daughters Cheryl and Lisa, stopping first in Albuquerque to see his dad, then on to Hawaii, and finally to Tokyo. There, they met up with Frank Oz, Jerry Nelson and Dave Goelz. 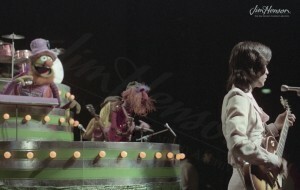 The Henson family members also served as performers for the show. Leading up to the trip, Jim’s in-house producer, Diana Birkenfield, had communicated with the Japanese production team. She read the script and counseled Jim that he should delay his trip until they received something funnier. She was concerned that the material just wasn’t going to work and didn’t want to put Jim and his team in a difficult position. Jim, however, was eager to see Japan and wanted to go despite the script. When the taping session started on March 20th, it became immediately clear that humor is cultural. Because of the language barrier, much of what was scripted was physical, slapstick comedy – and it turned out to work well for Japanese audiences. When they watched the playback, the Japanese crew practically fell out of their chairs laughing. Sensing an opportunity to rib his producer, Jim snapped some pictures to show her in New York. The rest of the trip lived up to Jim’s expectations; he and the family spent a terrific time visiting the temples in Kyoto and staying in a traditional Japanese inn while the other performers headed south for some relaxation in the hot springs. 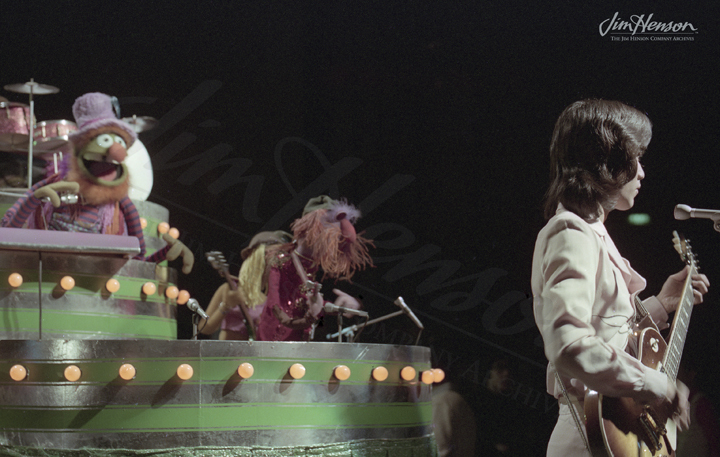 The Electric Mayhem jam with Goro Noguchi, Japanese pop star, 1976. Jerry Nelson performs Crazy Harry on the Goro television special, 1976. 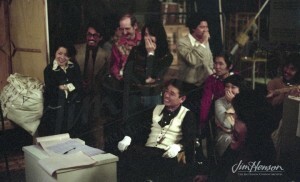 Jim’s photo of the Goro production crew enjoying the playback, 1976. 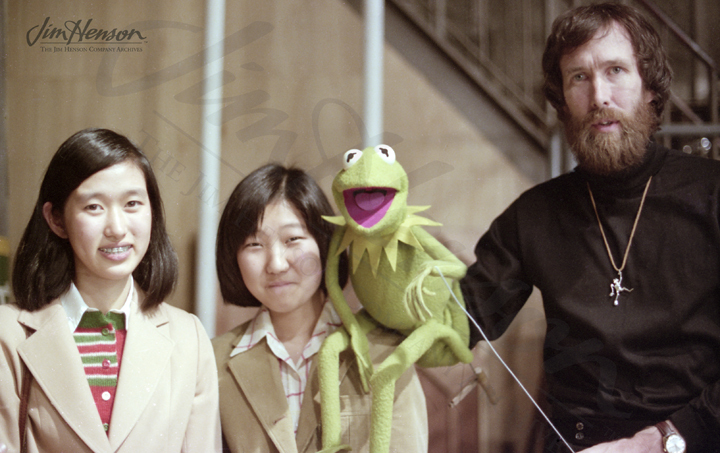 Jim and Kermit with some Japanese fans, 1976. 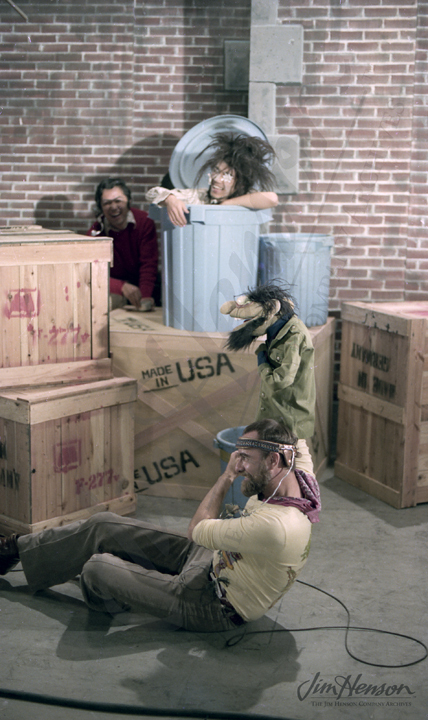 This entry was posted in 03-March '76, 1976, Muppet Specials and tagged Albuquerque, Cheryl Henson, Diana Birkenfield, Frank Oz, Goro Noguchi, Hawaii, Jane Henson, Japan, Jerry Nelson, Lisa Henson, Muppets, New York, Nippon Television, Richard Hunt, Tokyo. Bookmark the permalink.